Chasing American AAdvantage Status For Less. My Plan to Meet the Latest Status Challenge for Elite Status. Recipients have the Opportunity to keep this status or an even higher status through January 2020 if they earn specified required Elite Qualifying Miles (EQMs) and Elite Qualifying Dollars (EQDs) between the date they register and September 7, 2018. You must sign up before you travel and no later than June 11, 2018 with the promotion code provided in the email. Unfortunately, the promo code will not work for you if you weren’t targeted. The Elite status level EQMs needed EQDs needed: (Note the striked out number in the left column is the standard qualifying amount for each elite level. At first I figured I would just go for Gold since it was easy enough and only required $1,000 in spend, but the more I thought about it I decided Platinum was the better play. The beauty of this whole thing is that I’ve already been gifted gold so I am now entitled to earn bonus miles and EQMs- this is a nice way to pad my miles balance. I have two trips planned to Las Vegas this summer and I still need to book flights for one of them, thankfully. I decided to see if I could at least meet the 12,500 EQM requirement by doing the trip in separate legs to increase the miles flown. Since I always fly First or Business, I receive double Elite Qualifying Miles. EQMs are calculated based on your fare class and number of miles flown. As you can see, the EQM’s are double for the Business class portion of the trip. 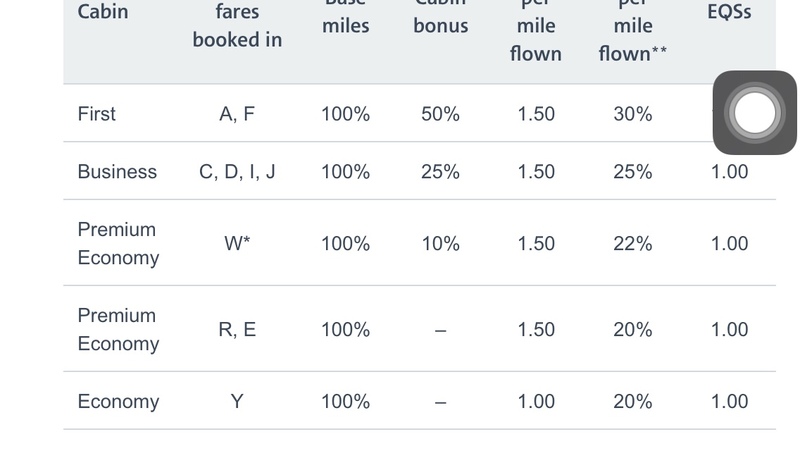 The bonus miles are a product of the Gold status 40% bonus earnings on base miles. I also have a current AA promotion to earn double miles on First Class and Business Flights so this is really good timing for me. My strategy was simple, get to Vegas in maximum comfort with multiple stops to add extra miles at a reasonable price. Of course maximum comfort means lie flat, but AA’s not exactly known for it’s lie flat domestic service (aside from some Transcon routes which are not cheap.) I already knew AA has one on the JFK-Miami route, so I began there. I found a lie-flat business class seat for $392. Perfect! Next I googled lie flat domestic routes and found this thread on Flyertalk. I then looked for flights from Miami to Vegas that stopped in DFW since a lot of the flights mentioned originated there. Sure enough, I found a First Class route that stopped in Dallas and had lie flat seating for the first leg. The price including taxes and fees is $662. This was good enough for me. Taxes and fees do not count towards your minimum spend. From this one route I will have earned approx 8700 EQMs and approx $900 EQDs. It will be easy enough to add $100 spend on base fare if all I want is to earn Gold. Yes! The obvious alternative to spending the actual cash for the EQD requirement is to use your transferable points to book flights through the travel portal. You can also reduce the spend by applying your various travel credits to applicable fares. But there may be another way more interesting way to meet the requirement without actually shelling out your hard earned cash. For flights on partner airlines, EQMs and EQDs are calculated based on a percentage of the distance flown as determined by the booking code. If a purchased fare booking code is not listed in the tables, no Elite Qualifying Credits or award miles are earned. I’m guessing American awards EQDs this way because they don’t have access to the price paid for partner flights. If you can find the right situation, you may be able to book a cheap ticket on a partner. My hope is to find an economy or premium economy fare for under $800 or so round trip that would be on an international itinerary with a few segments that increase the mileage. Make sure you check the fare class code you’re booking against the specific airline chart found here. This is an amazing deal and if you’re willing to shell out a bit for premium seats or if you’re a fairly frequent traveler and you can focus your summer travel with American and OneWorld partners, this could be a big win for you. I am hoping to meet the requirements through Platinum by booking another trip or maybe I’ll switch the one I have to a higher fare class. Previous articleIstanbul, Ireland, Greece & More! Hyatt Announced A LOT This Week. Here Are the Highlights! Breaking: American Airlines Extends 737 MAX Cancellations into the Summer! I got one of these, but for Platinum, at the beginning of last summer. I redirected all of my travel spending to AA for the summer, looking forward to many upgrades. In over 20 flight segments in the three months though, I NEVER MADE IT ABOVE #10 ON THE UPGRADE LIST FOR ANY FLIGHT. And that was for Plat. 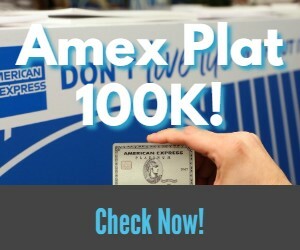 AA sends so many thousands of these offers out hoping that people bite exactly as I did, but it ends up entirely diluting the offer for everyone. Hope it works better for you though! Upgrades are doled out based on EQD and most EXPs have greater than $10K. So this deal will give you some decent benefits but likely not very many complimentary upgrades. I’m EXP and had $19k of EDQ last year. I get upgraded maybe 30% of the time and only when I’m flying somewhere relatively out of the way. The odds of a platinum getting an upgrade are slim to none. At least you get to pick main cabin extra for free though. MCE is a nice perk but I am not sure it is worth chasing status over. That is my personal take.